Buffy the Vampire Slayer Complete Series Tin. 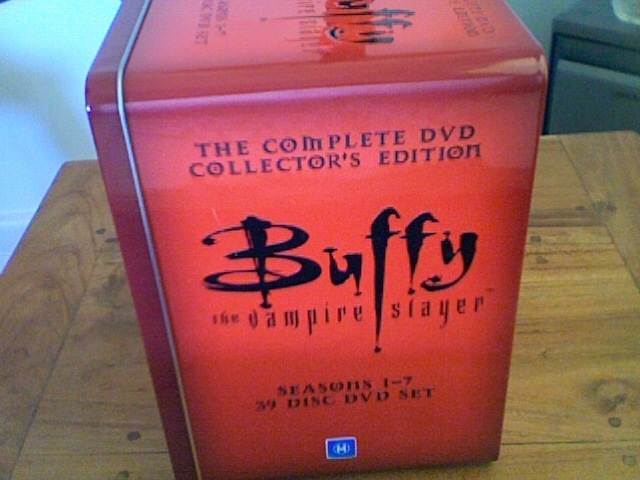 These are some crappy quality pictures of the complete series set I bought taken using fotografia booth. This is a set of all seven seasons, housed in a metal case.. Wallpaper and background images in the buffy, a caça-vampiros club tagged: buffy tin seasons red shiny. This buffy, a caça-vampiros photo might contain caixa de embalagem and embalagem caso.